When you need a residential or commercial AC repair in Clearwater or elsewhere throughout the Bay area, you can count on the hometown experts at Caldeco Air Conditioning & Heating to get your AC system up and running quickly. Our family owned and operated business has served the air conditioning needs of homeowners and business owners in the area since 1989. Our products and services include new AC systems, AC repair, AC maintenance and duct cleaning. As an authorized Carrier Dealer, we carry a full-line of Carrier Corporation energy-efficient systems and are proud to be a Distinguished Carrier Dealer and a four-time Carrier President’s Award winner. AC repair and maintenance is provided by our team of NATE certified technicians, all of whom are experienced on all brands of HVAC equipment. We maintain office hours every day, Monday through Sunday, but we always offer 24/7 emergency service to get you cooled down quickly if you need us. Our technicians are friendly, courteous and respectful of your time and property, and our service trucks are fully stocked with parts needed for repairs. Block sunlight from heating the interior by closing blinds and curtains. 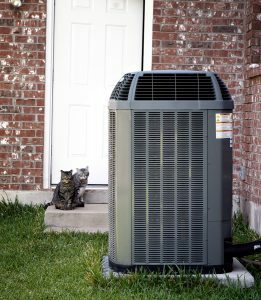 Regularly scheduled maintenance is recommended by AC system manufacturers as one of the best ways to avoid an AC repair. As a Carrier dealer, Caldeco Air Conditioning offers a variety of maintenance services including our 100% Guaranteed AC Unit Precision Tune-up & Cleaning and our Caldeco Energy Savings Agreement. To get more energy saving tips or receive a quote on these maintenance programs for your home or business in Tampa, Wesley Chapel, Brandon, Westchase, New Tampa or neighboring areas, contact one of our associates today.